Jump Rope for your heart and your muscles! 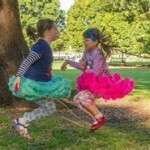 Jump ropes are not just for kids! Jumping rope is not only a challenging cardio workout, but will challenge your muscles, agility and balance as well. Complete a 8-10 minute walking warm up. Start with 3-5 intervals of 10 jumps and build from there. Finish your workout with a 5 minute cool-down. 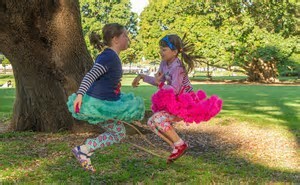 Vary speed, change from one leg to both legs, from one jump to two with each spin of the rope. Should you add a hill workout to your fitness routine? 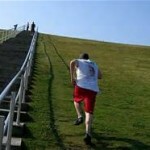 Hill workouts via repeats are great for cardio! Walk, run, power hike or even sprint up the hill, and you’ll burn mega calories and strengthen your legs. Choosing a hill of moderate incline, and about a quarter mile long is a great starting point. Begin with a warm up of walking on a flat surface for at least 10 minutes. Then do your hill repeat up, followed by a gentle jog or walk down. Turn around and head up again. Repeat 2-4 times. Perform your cool down for at least 10 minutes on a flat surface. *Always consult your physician before beginning exercise. 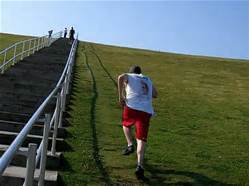 Hill repeats are for intermediate or advanced exercisers without injury or illness concerns.